I can’t believe that it’s been over a month since I’ve made a post to this blog. I guess that’s because it’s been a super busy CRAZY time for me, and, I have to admit that I have loved every minute of it! I am experiencing what every small business owner experiences, the necessity to wear a whole slew of different hats, and sometimes many different hats on one day. This has been a very busy Fall craft fair season for me. I showed at two craft fairs on two consecutive Saturdays. 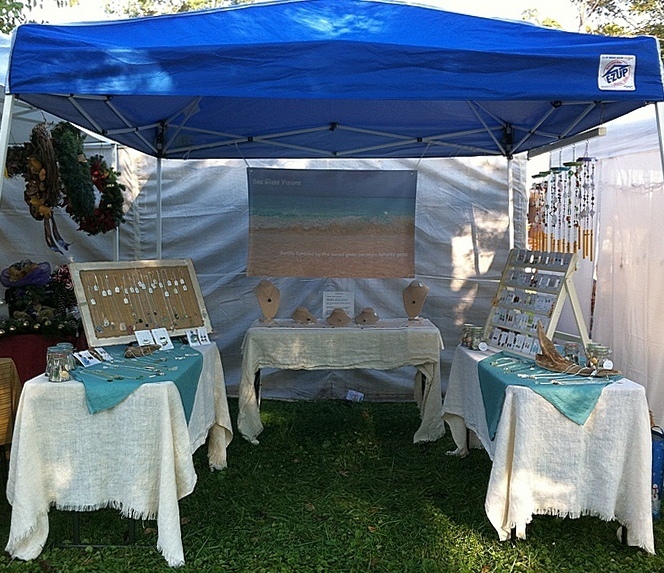 I was VERY lucky to have great weather for both of these outdoor craft fairs. Just today, on the third Saturday, I fulfilled a consignment for a local artisan shop with 14 pieces of jewelry and shipped a custom jewelry piece. Some of the consigned jewelry pieces are in the photo below. Things have been very busy for me. I just got home from a local craft fair, exhausted but happy. I have another craft fair next weekend, then a one week break and then another craft show. I consign in a local shop and will be re-stocking with new jewelry in two weeks. In November I have two consignments (possibly three) to complete for shops in Vermont. I want to stock up my etsy shop for the holildays. Life is good! I love to be busy and I enjoy nothing more than being at my workbench “playing”. Needless to say, I’ve been making a lot of new jewelry pieces over the past month or two. I am also stepping away from creating just jewelry and have created two new sea glass crafts. I also made new displays for my booth and added a new table, increasing my jewelry and craft display. While all this has been going on I have been thinking about how all this got started and how much my style has developed along the way. While I still like to use a bit of beading and wiring when creating jewelry, my style is much more classic. My style has been called “simple elegance”. 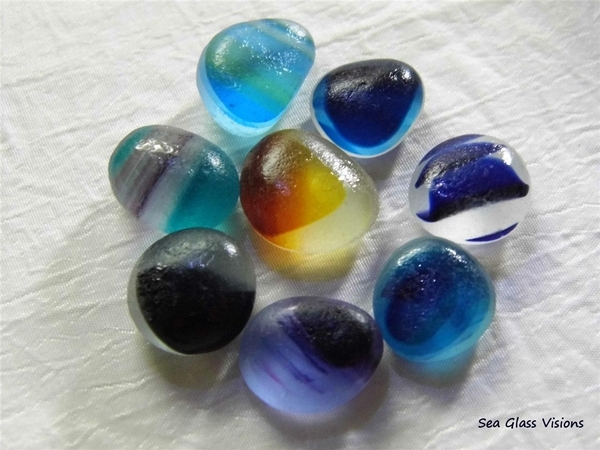 A few months ago I came across pictures of the first piece of seaglass jewelry I created. Not pretty. It was a piece of local found sea glass, not a great piece with somewhat rough edges. I covered it with beads and wire. 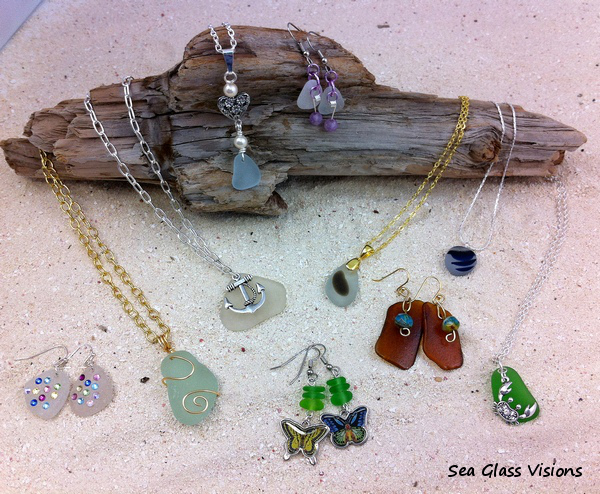 The other two photos below are more recent sea glass jewelry pieces created with marvelous English sea glass.